Renault's French retail network has been hit by a sales slump. PARIS (Reuters) -- Renault has cut about 2,500 jobs in the first year of a productivity deal with French unions and is on course to meet its savings goals, the carmaker said. "We're at about one-third of the objective" of 7,500 positions to be eliminated under the three-year plan, the carmaker's head of French personnel Jean Agulhon told reporters, adding that the deal was "on track" to deliver 500 million euros ($690 million) in promised savings. Renault promised last year to protect its French sites in return for increasing working hours, curbing pay rises and cutting at least 7,500 jobs by 2016. The pioneering deal, signed by three of Renault's four main unions, also promises to raise domestic production by about one-third to 710,000 vehicles while providing for early retirements and other voluntary job cuts to reduce plant costs. Early retirement offers are attracting 80 percent to 90 percent uptake from eligible workers and may help to exceed the overall job cuts target significantly, the carmaker said on Thursday. Renault also said the union deal had begun to narrow the hourly labor cost gap between its French and Spanish workers, who signed the first of three flexibility pacts in 2010. "It's the first time that French hourly wage costs have fallen thanks to this deal," said Marie-Francoise Damesin, human resources chief for the alliance between Renault and Nissan. 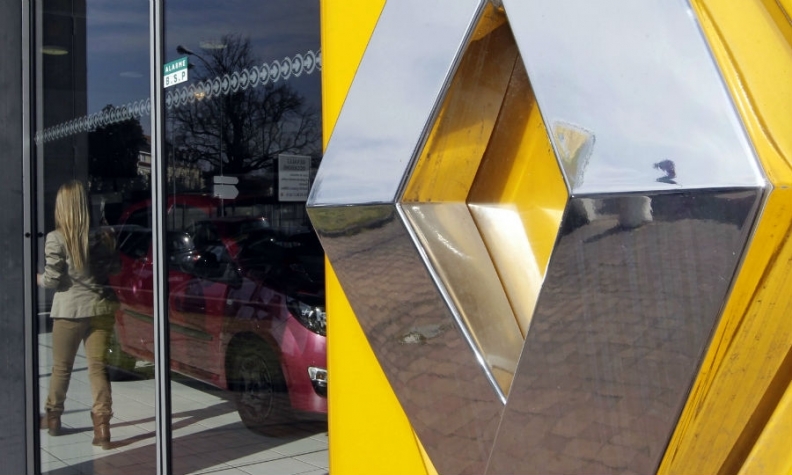 French labor costs nonetheless remain "among the highest of all our global industrial sites", Damesin said, adding that it was too early to say whether Renault would seek further productivity gains from unions after the current deal expires. "If you look at Spain, they are already on their third accord -- once the dynamic had been created they continued in the same framework," she said. "We have every interest in continuing to work in the same spirit."